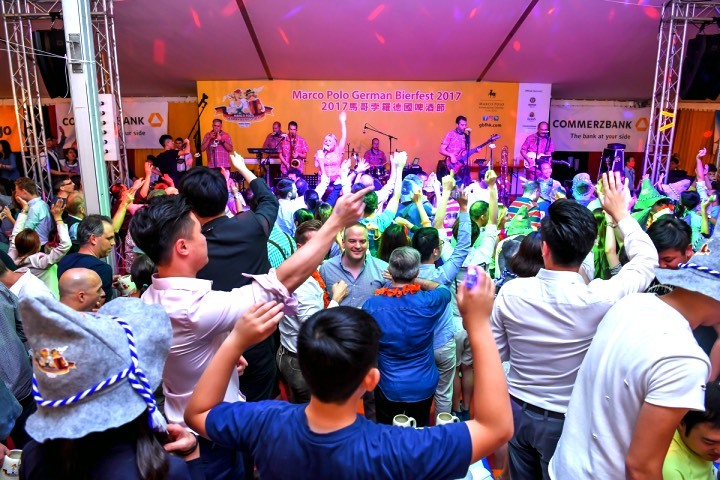 Hong Kong, 14 September 2018 – The award-winning outdoor Oktoberfest in Hong Kong, Marco Polo German Bierfest will be back from 17 October 2018 at Marco Polo Hongkong Hotel. Thousands of guests will fly in to join the party under the giant open-air marquee – the only place in the world where you can experience authentic Bierfest fun, food, and beer alongside the stunning Victoria Harbour. This year, guests booking their stay at Marco Polo Hongkong Hotel, Gateway Hotel or Prince Hotel can enjoy free admission to the highly-anticipated event.